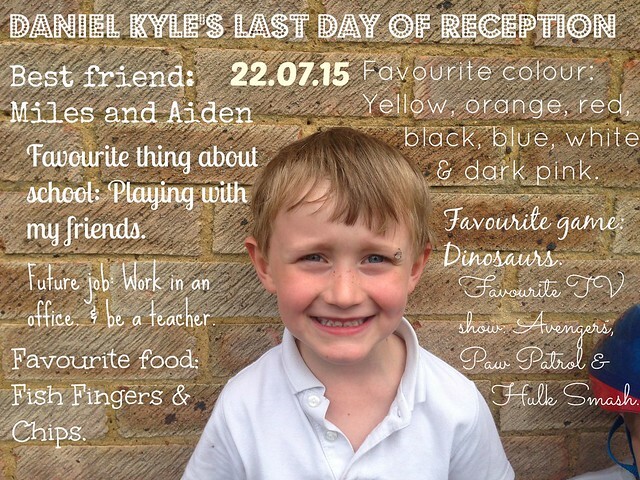 Bee's Circus: Daniel's last day in Reception. I love seeing now and then posts, photos from the first day of the school year and the last. So many changes, so much growth, documented and compared. In a rush on the way home (ever organised) we tried to recreate some of these photos from Daniel's first day in reception. It does strange things to my heart, thinking about how much he has changed over the last year. He has grown, my has he grown, much taller and much much smarter. His report was glowing, either meeting or exceeding all his targets and showing an excitement for learning, which makes my teacher heart happy. He can read, really read, and often sits browsing books alone, or sounding out signs while we're walking. It's incredible. 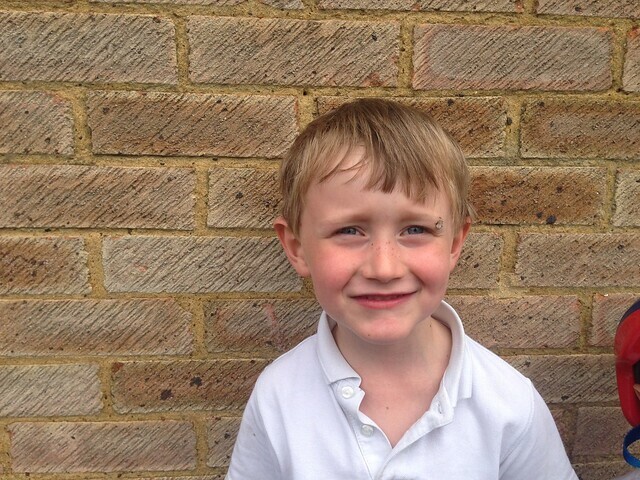 He's made some firm friends, some the same as last year, some new, and is always kind and caring towards everyone in his class. I love catching glimpses of him playing when I'm working in Reception at lunchtimes, he truly is a wonderful kid. His sense of humour has developed, he's such a little clown, always telling jokes and being silly to impress people or cheer them up. Some things don't change, like his love of fish fingers and chips or that frowny expression, but other things, looking back, are unrecognisable. 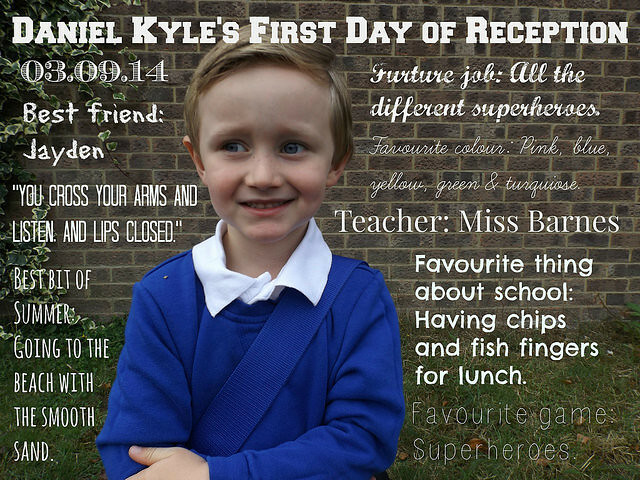 Thankfully, his wonderful teacher is moving up to Year 1 with him, and he is super excited for his new classroom. 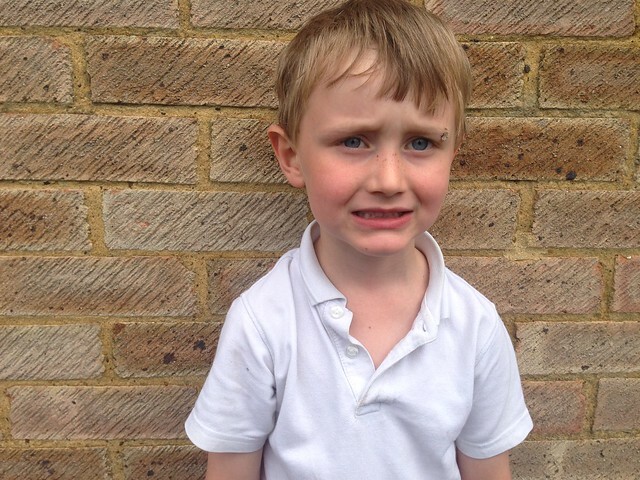 I often wonder how he will cope with the more structured approach to learning, the writing and the listening, but I am sure he'll try his best. I'm going to try and adapt a little more structure into our home life, a morning routine and homework straight after school, so he understands the importance of it all. Have you written a school year comparison post? Please link it in the comments, they're some of my favourites!